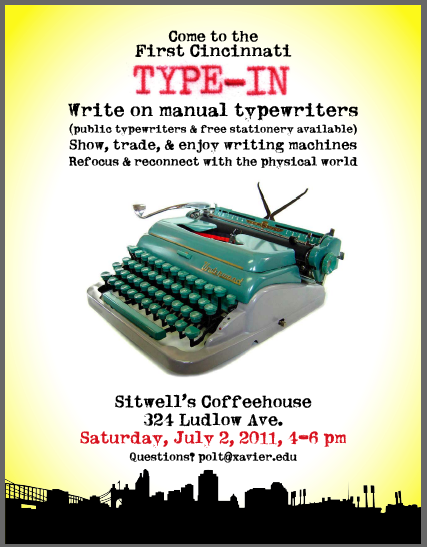 PS: This is is in connection with a typewriter lovers' meeting at my house that weekend (July 2-3). Anyone is welcome. I'll post more details on all this soon. Best way to advertise the type in is via social media and also by placing an ad on Craigslist under events section. It also helps to alert the local news and of course be sure and print up fliers to take to coffee shops and bookstores.